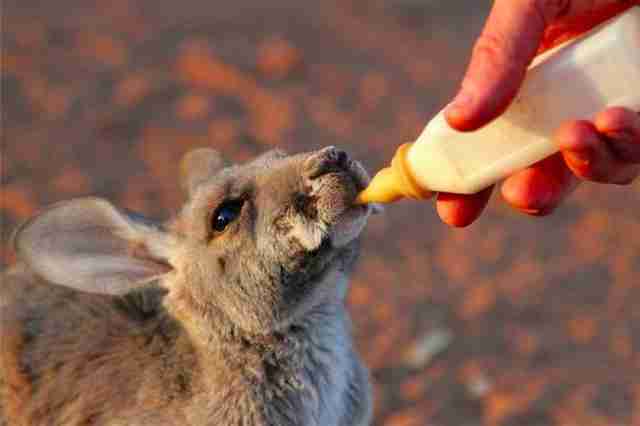 Ruby is a baby kangaroo who lives in Alice Springs, Australia, at a rescue center for orphaned joeys. And she really knows how to relax. 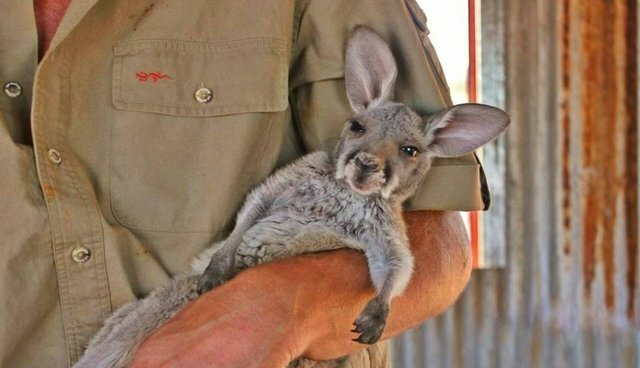 The Kangaroo Sanctuary uploaded this photo to their Facebook page last week, with the caption "Little baby kangaroo joey Ruby resting in my arms. 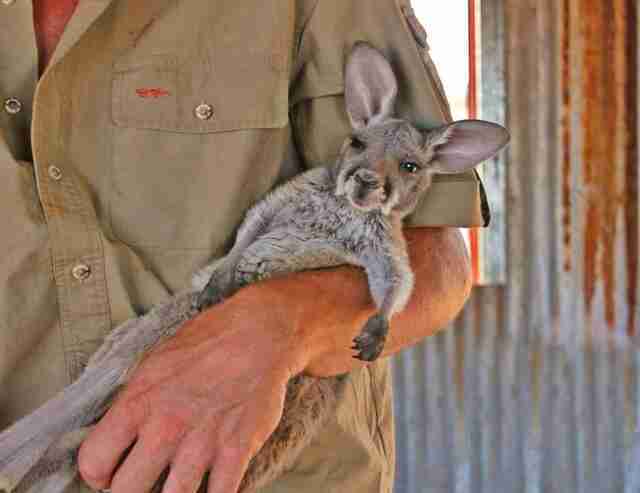 Joeys love our warmth and heartbeat when we hold them close." Here she is drinking some warm milk, the perfect meal for an expert snuggler like Ruby. Ruby is just one of a crew of orphaned joeys who live at The Kangaroo Sanctuary, and it seems like she and her pals all enjoy busy days of being cuddled and held by their human caregivers. The sanctuary's founder, zookeeper Chris Barnes, told the Telegraph in January that he wanted to do something to help the countless orphaned joeys whose mothers were killed by cars on Australia's rural roads. 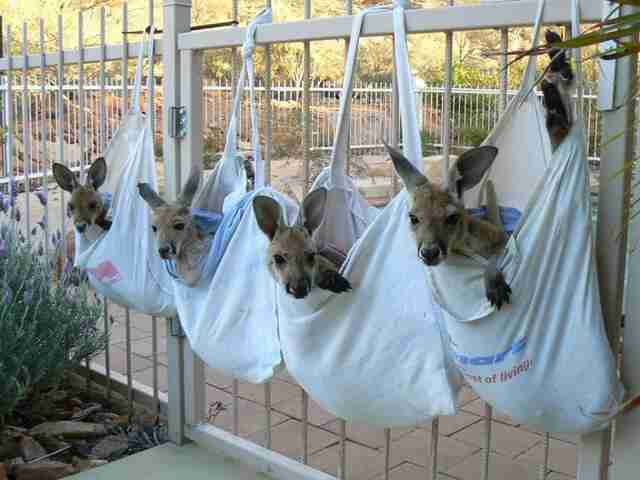 Here's a great shot of a bunch of baby 'roos just hangin' at the sanctuary. 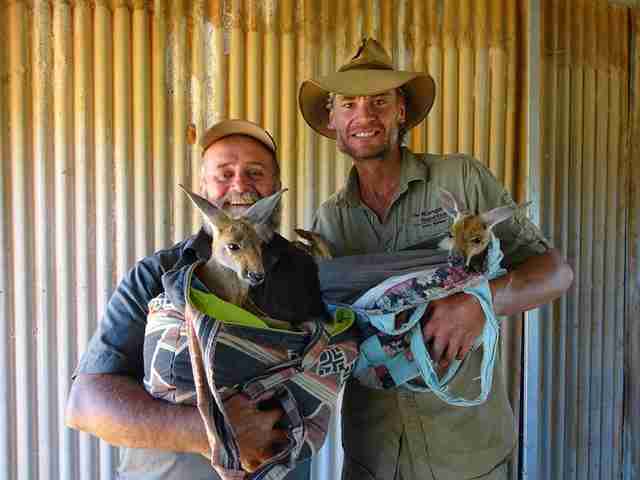 The Kangaroo Sanctuary is also featured on a BBC channel show about the day-to-day work of caring for a family of orphaned kangaroos. For more cute joey pics, check out the sanctuary's Facebook page.